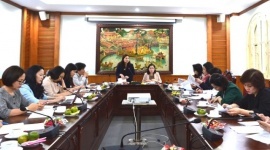 (LDXH) On August 2nd, Prime Minister Le Tan Dung had a meeting with Mrs. Astrid Bant, The United Nations Fund for Population Activities (UNFPA) Representative in Viet Nam. The meeting was about the corporation between the two sides in the field of population aging and the study of legal policies to adapt to this problem; caring for the elderly by domestic and international resources and assessing the results of the implementation of the Law on the Elderly. 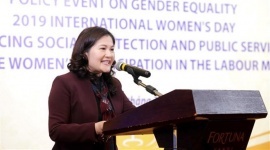 At the meeting, Astrid Bant said UNFPA had been with Vietnam for 40 years, focusing on reproductive health issues, spending many programs in the population. 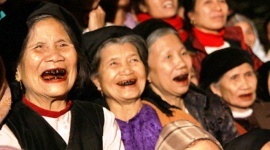 UNFPA recognized the problem of aging population in Vietnam. It brought benefits to the country, but also posed many challenges to solve. 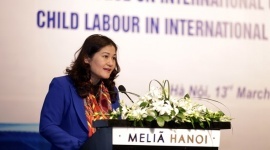 Astrid Bant affirmed that UNFPA and its partners had a long-standing program of cooperation with the Ministry of Labor, Invalids and Social Affairs, in which aging is one of the priorities. UNFPA is willing to support MOLISA in this area, in addition to child issues, family planning, youth, maternal and elderly health. “Population aging means that there is a large percentage of elderly in the society. The UNFPA projects helped elderly to socialize in outdoor activities, make them happy, healthy and useful as Vietnamese desires. 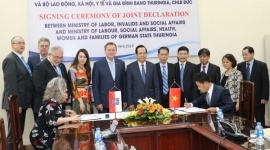 With the Ministry of Labor, Invalids and Social Affairs, we have collaborated to build successful community models and we look forward to expanding them further, "said UNFPA Representative. Discussing with Mrs. Astrid Bant, Prime Minister Le Tan Dung thanked UNFPA or sharing and contribution to Vietnam in the past. He highly appreciated the cooperation between the two sides which brought good results and fulfilled the goals of UNFPA and Vietnam. Prime Minister Le Tan Dung emphasized that the policy on aging is a priority of MOLISA. 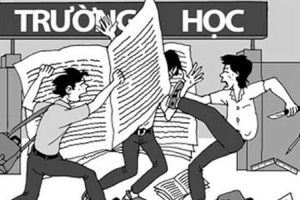 In December 2017, the Government of Vietnam issued the Action Plan on population work in the new situation. The Ministry of Labor, Invalids and Social Affairs (MOLISA) assigned an important task to study the impact of population aging; study the Elderly Law. MOLISA wishes to receive the cooperation and assistance of UNFPA in this process, especially the policy for aging population and the elderly. Finally, Prime Minister also proposed to UNFPA to coordinate the study and evaluation of the enforcement of the Law on the Elderly, especially obstacles, barriers and inadequacies in the implementation of the Law. 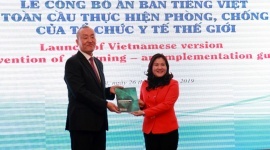 At the same time, UNFPA will support for communication, sharing of international experience in adaptation to population aging; training, capacity building for Vietnamese experts in the study of the elderly, as well as the network of staff working in the aging of the population and the elderly in Vietnam.